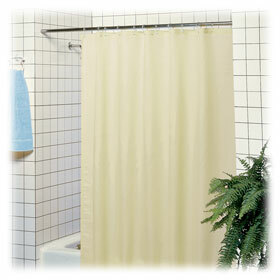 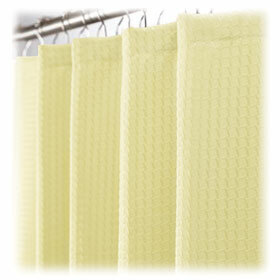 Commercial hotel shower curtains are manufactured to withstand the daily volume, shower after shower, year after year. 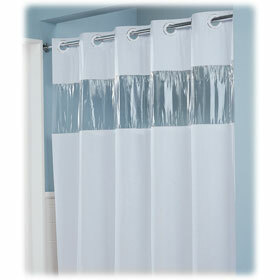 Built with heavy duty vinyl or polyester, our shower curtains are made from synthetic materials to easily repel water and resist mildew. 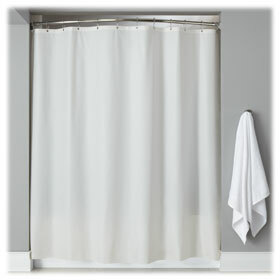 Select the traditional shower curtains with attached shower hooks or choose the housekeeping friendly hookless / pre-hooked shower curtains! 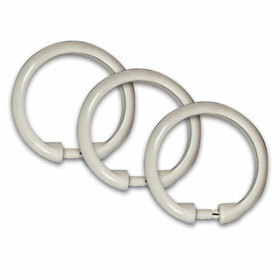 Available in White or Beige.